U.S. 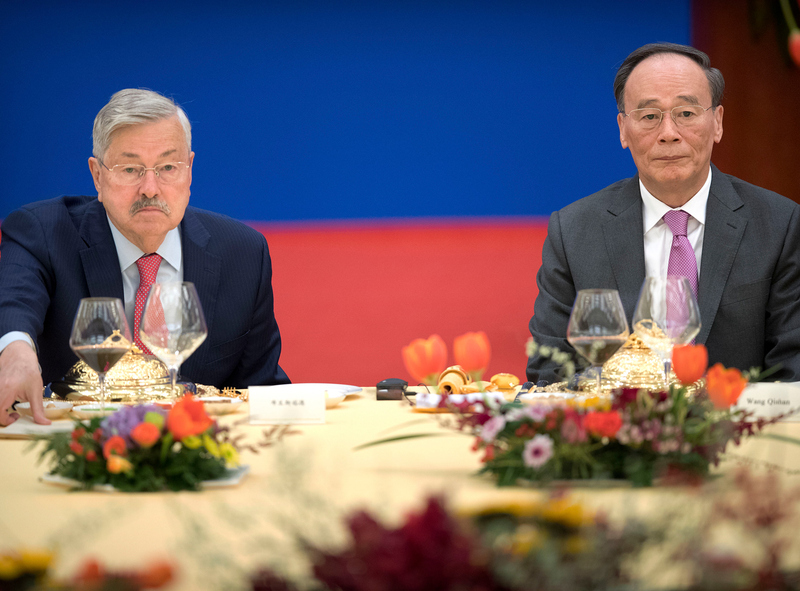 Ambassador to China Terry Branstad (left) and Chinese Vice President Wang Qishan attend an event commemorating the 40th anniversary of the establishment of diplomatic relations between the United States and China, at the Great Hall of the People in Beijing, January 10, 2019. Allison says the Thucydides Trap is the best framework to understand why there is potential for conflict between the United States and China. As China grew stronger, the U.S. failed to recognize Beijing would increasingly assert its own vision for the international order, thereby challenging the American-led global system. China now represents both a strategic rival and partner for the United States. The bilateral relationship needs a new framework that accounts for significant areas of competition and cooperation. Allison says the United States and China share vital national interests in ensuring the survival of their respective nations and must work to resolve issues clouding the economic relationship. This includes devising a new set of rules that accounts for China’s unprecedented economic development and status as a global power. For guidance, policymakers should look to John F. Kennedy’s post-Cuban Missile Crisis call for a world “safe for diversity.” This would allow nations with different political systems, economic development models, and ideologies to compete in peaceful coexistence.